Dave Lang is a roller blading dude. He's also friends with noted Lamborghini owner Bam Margera. Put the two together, and this is what you get. 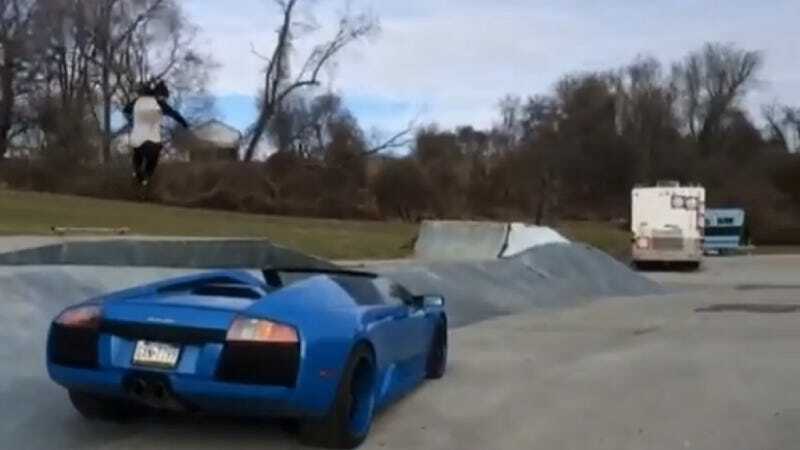 Margera, who has purposely cut holes in his Gallardo and basically treated his cars like pieces of garbage, parked his Murcielago underneath a skate jump just so Lang could do a 180 over it. He lands it perfectly, though I'm kind of thinking that Margera would have been even happier if he landed on the car.